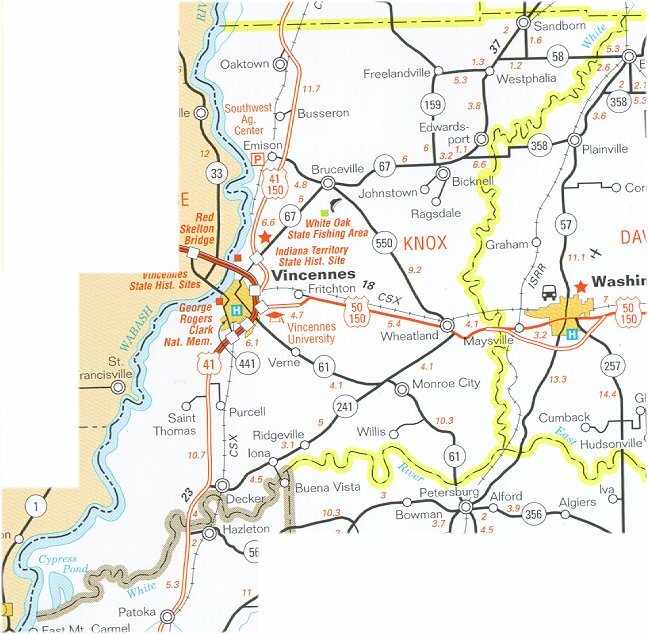 Knox County (pop. 38,440) is south of Sullivan County and east of Illinois. It’s one of nine counties named for Henry Knox (1750-1806), the first U.S. Secretary of War. Knox County was one of the original counties in the Northwest Territory, in 1790, and included almost all of today’s Indiana, and parts of the present states of Michigan, Illinois, and Ohio. The county seat of Knox County is the city of Vincennes (pop. 18,423), the oldest (1732) continually occupied settlement in Indiana. George Rogers Clark National Historical Park, in Vincennes, commemorates Clark’s capture of Fort Sackville in the Revolutionary War. Comedian Richard Bernard “Red” Skelton (1913-1997) was born in Vincennes and grew up there, before entering vaudeville in 1934. The Hall of Hollywood Hoosiers, in Vincennes, has a collection of memorabilia related to Indianans in the movies. Grouseland, the William Henry Harrison Mansion and Museum, is in Vincennes. Harrison (1773-1841), later the ninth president, lived there when he was governor of the Indiana Territory. 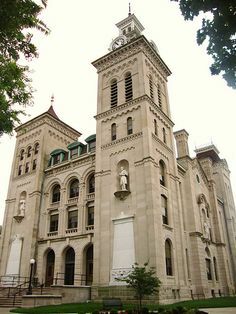 Vincennes University is the oldest public institution of learning in Indiana. Founded in 1801, it has about 4,000 students. Vincennes is also the home of the Indiana Military Museum. The town of Bruceville (pop. 478) has a homemade, backyard roller coaster, open to the public, summer weekends only. 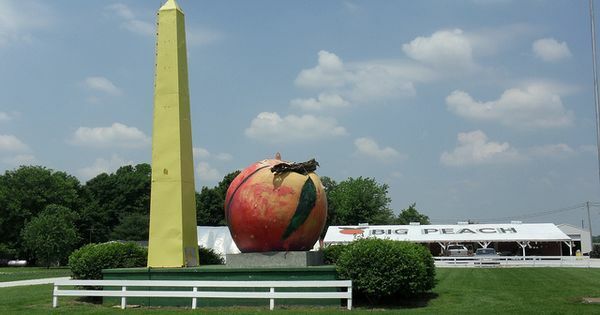 Bruceville also has a replica of the Washington Monument, next to a giant peach – a 1954 tribute to the Trylon and Perisphere at the 1939 New York World’s Fair. This entry was posted in Indiana and tagged Bruceville, George Rogers Clark, Grouseland, Indiana Military Museum, Red Skelton, Vincennes, Vincennes University.